Jason Edwards, of North Gardens, Littlehampton, took his own life on March 20, 2010 and an inquest into his death was held at Eastbourne Magistrates Court on Friday (September 29). Deputy coroner Joanna Pratt heard the 40-year-old father-of-two had been prescribed anti-depressants in November 2009 after suffering from sleep problems following a bad back. Paula Harding, his partner of 22 years and the mother of his children, said, “He wanted a short-term fix to enable him to get a few nights’ sleep so he could go up to London to further his business. “When he came back with anti-depressants I was surprised because he said he only wanted something to help him sleep. Ms Harding said Mr Edwards changed after he started taking the medication. 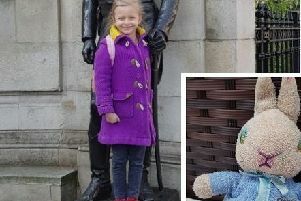 Mr Edwards’ mental state continued to deteriorate and he began to fixate on a child abuse case in Plymouth and became overly concerned about his two young daughters. He also started to have hallucinations and became obsessed about the family’s finances despite them being in a comfortable position with low mortgage repayments and inheritance. Ms Harding said her husband had gone from being confident and easy-going to paranoid since he started taking the medication. Ms Harding always wanted her partner to get off the medication and she researched the drugs and found psychosis and paranoia were recognised side-effects. There was a time when Mr Edwards stopped taking the medication for a short period and Ms Harding said his mood and behaviour settled. Mr Edward had many appointments with his GP, was referred to the community mental health team in Littlehampton and tried meditation and hypnotherapy. He experienced ups and downs and admitted he had suicidal thoughts when filling out a depression questionnaire at his doctors surgery. At that point, his GP Dr David Miller changed his medication to an anti-depressant which was less dangerous in overdose. Despite continuing his job and taking their daughter to school, Mr Edwards’ mental state worsened and on March 19 he sent a goodbye text message to his brother from the top of Beachy Head. His body was recovered from the foot of the cliffs by coastguard teams the next day. Miss Pratt recorded a verdict of suicide. n If you need to contact The Samaritans, you can phone the 24-hour helpline telephone number 08457 909090 or email jo@asamaritans.org.